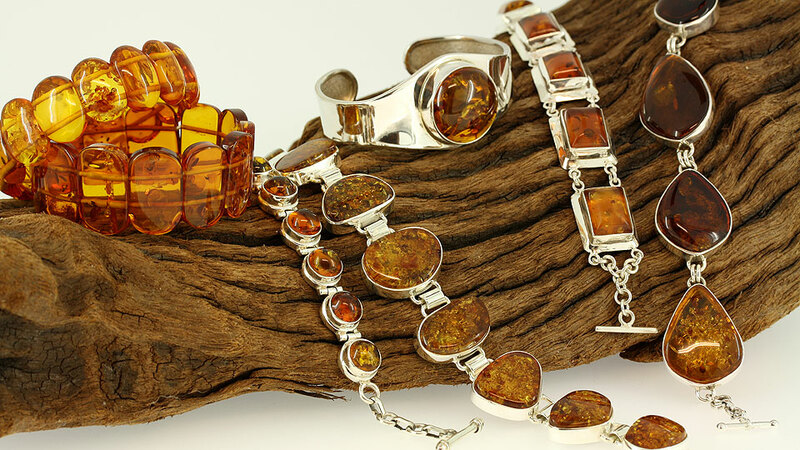 Amber and Sterling Silver Jewellery. Wholesale. Buy Gemstone Jewellery Directly from Supplier. 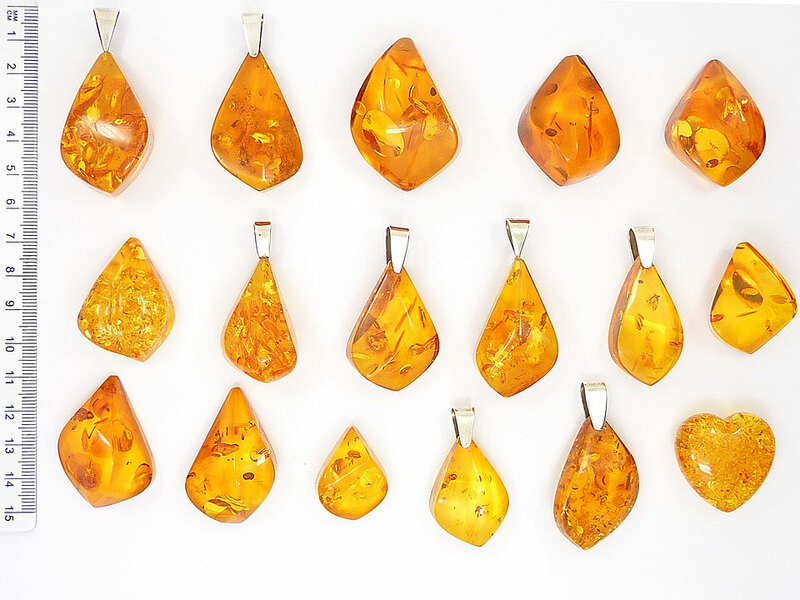 Amber is an ornamental stone of organic origin. It is the fossilised, hardened resin of trees. When you hold a piece of amber, admire its beautiful sunshine colours and see how it catches the light, it's not hard to understand why humans have treasured this stone for more than 10,000 years. It feels light, it is warm to the touch and when rubbed can lift tiny light objects. 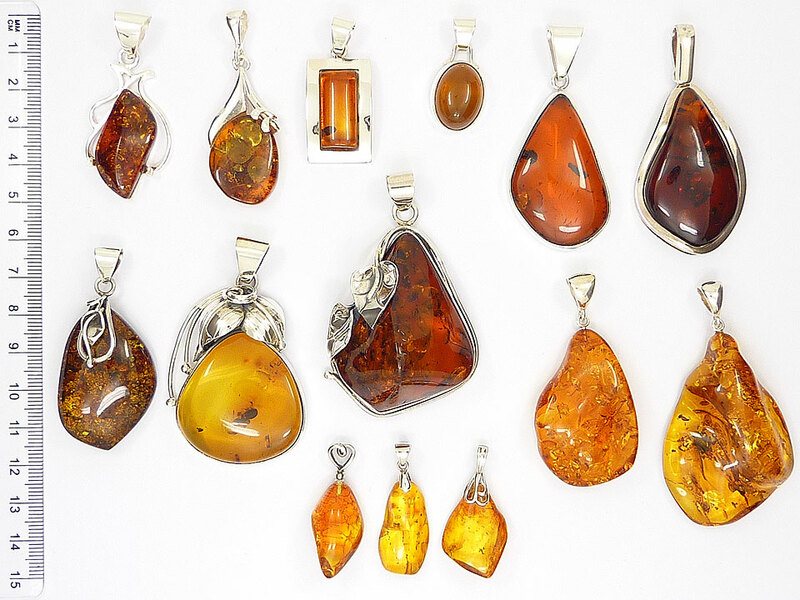 Deposits of amber are found in many places worldwide. 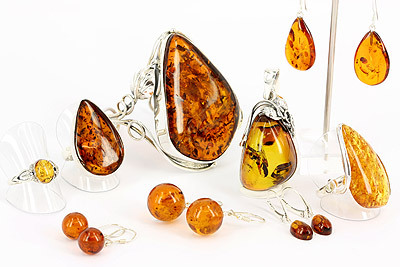 One of the best known places of origin of amber is the Baltic region. Large subtropical forests once covered Scandinavia and the Baltic which were then a single landmass. Baltic amber formed there between 50 and 30 million years ago. Baltic amber is the resin of trees called Pinus succinifera which had fruit resembling pine cones and resin containing succinic acid. Baltic amber has a much higher percentage of succinic acid than other ambers and therefore it is sometimes called succinite. 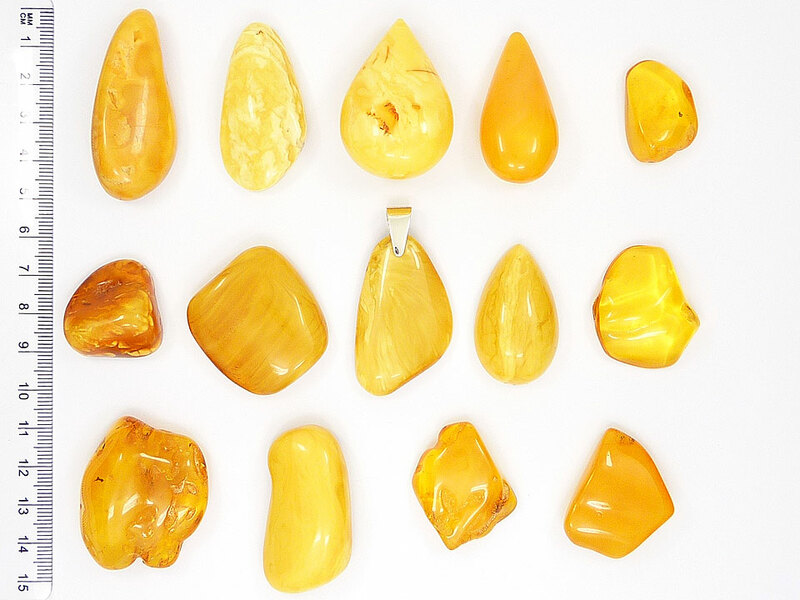 Baltic amber varies in colour and transparency, from opaque creamy white to a clear golden colour to brown, sometimes almost black. Often various shades and transparencies occur in a single piece. 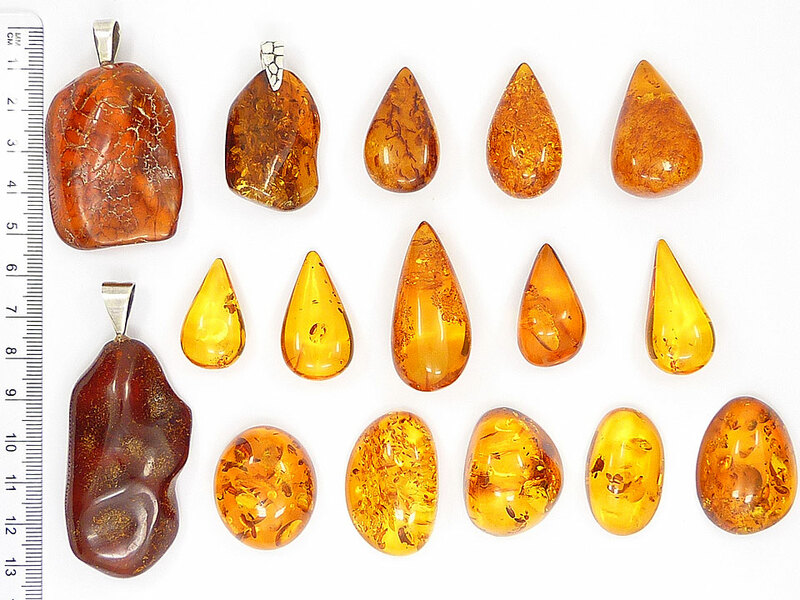 Before it is cut, rough amber has a dull, pebble-like appearance, often with a weathered crust. Occasionally pieces with inclusions of insects or parts of plants or tiny crystals of pyrites are found. 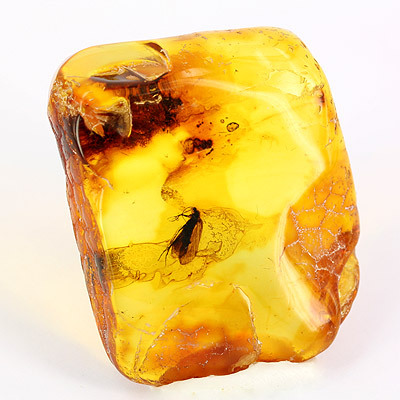 This image shows a large beautiful piece of amber from Lithuania. It contains an inclusion which has been identified as an insect of the order Trichoptera (caddisflies). 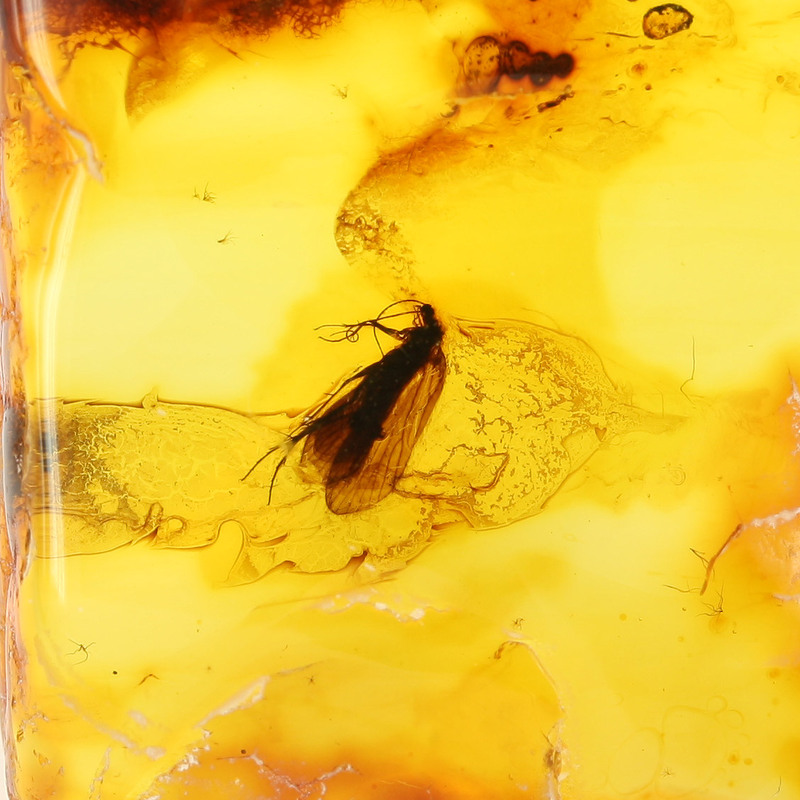 This piece of amber is estimated to be about 50 million years old. If you'd like to know more about amber, the book "Gem and Ornamental Materials of Organic Origin" by Maggie Campbell Pedersen has a large chapter about amber. 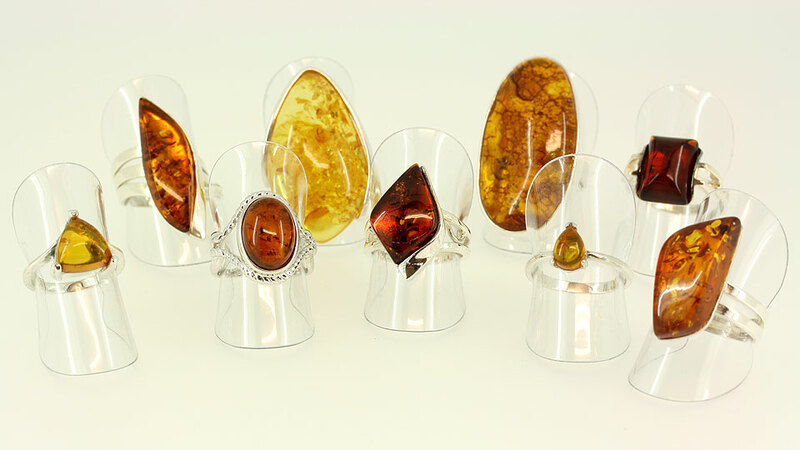 It covers origin, structure and properties of amber, its uses, tests, identification and more. This book is available from Silk Road Gems.